Thanks to Ann Hedreen for tagging me in the Writing Process Blog Tour. Ann is the author of the forthcoming Her Beautiful Brain; read her work at The Restless Nest. Island, 1969 describes a pivotal experience in my family’s life when, not long after we moved to St. Croix so my father could do research for his dissertation, someone broke into our house, threw rocks at my head, and fractured my skull. My mother, brother, and I left the island soon after to live with my grandparents in Spokane while my father spent almost two more years there. 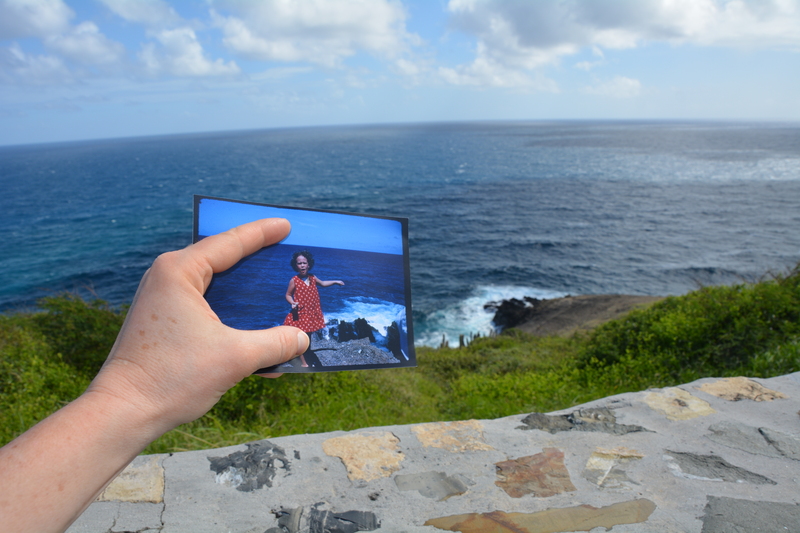 In 2013, I returned to St. Croix to see the place I had tried to remember for almost half a century. This story is about my parents’ guilt and anguish; about race and class; about a little girl wondering at the scars on her head. It’s about a specific time in North America and two small cities, 3600 miles apart. It’s about wanting to understand how these places and these people made me. How does my work differ from other writing in its genre? I don’t write straightforward narrative memoir. I’m drawn to work that combines a narrative arc with excursions, fragments, and meanderings — books like Deborah Miranda’s Bad Indians and Abigail Thomas’s Safekeeping. I also love (and emulate) essays that read like poetry. One of my favorite books is Bernard Cooper’s Maps to Anywhere. Like many writers, I write to understand what disturbs and confuses me. Recently I attended a workshop with Caren Gussoff, who urged the participants to create personal mission statements to guide our decisions about how to write and live. This was what came to me: My mission is to create, out of the essentially meaningless chaos of life, pleasure and connection. Pleasure in language; connection through shared stories. Also, writing gives me a dopamine high. Teaching at a community college keeps me busy during the school year. I write during the summer and on breaks when I can give myself over to a project, whether it’s an essay or a book-length manuscript. Then, I typically write three to four hours each morning. Katie Woodzick is a writer, actress, director, and External Relations Manager for Hedgebrook. She considers herself a smattering of Rogue from X-Men, Mae West and Tina Fey, among others. She is working on her first poetry manuscript: Theatrical Mustang. Caren Gussoff calls herself a sci fi and literary fiction writer, geek, and bon vivant. Her latest book is The Birthday Problem. “Also, writing gives me a dopamine high.” Yes!